The Hope group meets every Monday morning from 9:30 am to 11:00 am, with mothers and/or fathers and their young children. There is a twofold mission to our meetings. First and foremost we want to make the children familiar, comfortable and excited about coming to the Church. This playtime is very important to the children as they learn the very important lessons of interacting with their peers, sharing and meeting new people. Secondly, this is a great time for mothers/fathers with toddlers to get together for fellowship with other young parents who can share and offer support to one another if needed. During this time we spend generous amounts of playtime in the nursery and gym running around and having fun, in addition to telling stories in the Church. Please watch our monthly newsletter for days, times and special field trips. Faith, Love & Joy is our Elementary-aged Youth Ministry. We meet once a month on the 3rd Friday of every month. We will go through rotations, and learn about our faith, ourselves and each other while having a lot fun making crafts, playing in the gym and being in the church. Keep an eye out for our calendar to find upcoming events and meeting times. Our goal with our Youth Ministries is to develop our youth’s relationship with Christ. We do so by creating a community of Orthodox youth centered around worship, service and fellowship, allowing them to develop individually through relationships with each other and to experience the faith. Jr. GOYA is our Junior High-aged Youth Ministry (6th-8th). We gather four times a month, once for a general meeting, once for an outreach activity, once for an exciting outing, and once for a Friday Funday! There are plenty of meetings on plenty of days so everybody can get involved. Keep an eye out for our calendar to find upcoming events and meeting times. GOYA is our High School-aged Youth Ministry. We gather four times a month, once for a general meeting, once for an outreach activity, once for an exciting outing, and once for a Coffee Talk. There are plenty of meetings on plenty of days so everybody can get involved. Keep an eye out for our calendar to find upcoming events and meeting times. GOYAlumni is the home for the College Students of SS. Peter & Paul. Our GOYAlumni Ministry offers holistic activities for our College Students during Spring, Summer, Christmas Vacations, so that our College Students always have a space to come together at this critical time in their lives. You don’t have to be a former GOYAn of SS. Peter & Paul to join our GOYAlumni! Every College Student of our community is welcome! For more information, please contact frk@ssppglenview.org. Our YAL is the ministry of SS. Peter and Paul offered to our Post Graduate Young Adults. The YAL is a ministry, lead by our dynamic Young Adults themselves. 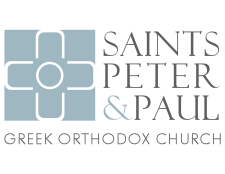 This ministry offers a space where our Young Adults can grow together in Faith, Orthodox Education, and Fellowship. Our YAL is every-ready to take life’s tough questions head-on in a very real way, always from an Orthodox perspective, to help our Young Adults see the beauty found in our Orthodox understanding of our society and world.